Wild Strawberries captures the thoughtful and compassionate side of Ingmar Bergman rarely seen in his films. It is the story of an aging man’s introspective journey on the meaning of his life, and inevitability of death. Isak Borg is a doctor well into his autumn years and about to receive an honorary degree celebrating his fifty years in medicine. As he makes the trip to the university, he and his daughter-in-law travel across the areas where he grew up, leading Isak to reflect on his life, which ultimately makes him confront his fears and the fact that he has become a cold, inadequate man. They pick up a group of kids and a husband and wife, and even these strangers begin to meld into Isak's nightmares and reflections. Isak Borg is forced to confront his wasted emotional life, the inevitability of his death, and he struggles to make amends with who he has become. Wild Strawberries is the most beautiful of Ingmar Bergman's pessimistic films. There are splashes of humor in it, but its effective depiction of the suffocating loneliness elderly people struggle with towards the end of their lives is indeed quite depressing. 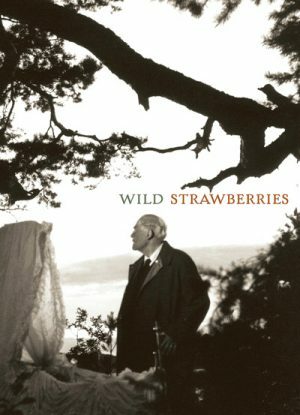 • Commentary - this is the same audio commentary with film scholar Peter Cowie which first appeared on Criterion's 2002 DVD release of Wild Strawberries. Mr. Cowie offers an in-depth analysis of Wild Strawberries and discusses its production history. Also, there is interesting information about the Swedish director's personal life and how it influenced the look and message of the film. The commentary was recorded for Criterion in 2001. • Introduction - Ingmar Bergman introduces Wild Strawberries and discusses the identity of the the main protagonist in the film, Dr. Isak Borg, with Marie Nyrerod. In Swedish, with optional English subtitles. (4 min, 1080i). • Behind the Scenes of Wild Strawberries - silent footage filmed by Ingmar Bergman on the set of Wild Strawberries. Jan Wengstrom, curator of archival film collections at the Swedish Film Institute, comments on the footage. There is some particularly interesting information addressing the working relationship between Ingmar Bergman and Ingrid Thulin, as well as the many scenes the Swedish actress had with Victor Sjostrom. In English, not subtitled. (17 min, 1080i). • Ingmar Bergman on Life and Work - a documentary film from 1998 featuring a lengthy conversation between director Ingmar Bergman and writer and filmmaker Jorn Donner. The documentary was produced for Swedish television. In Swedish, with optional English subtitles. (91 min, 1080i).